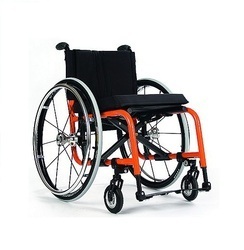 Being an eminent name in industry, we are involved in trading an extensive range of Mobility Aids. Our range is designed for increasing the mobility of the users and these can be used in clinics, homes, and hospitals. 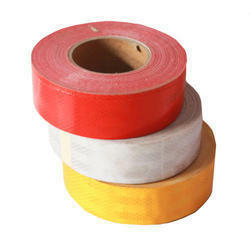 Moreover, these aids are known for their comfort, excellent strength, durability and superior designs. We are one of the reckoned names in the industry, involved in offering an extensive range of Telescopic Cane. These canes are designed using premium quality raw materials and sophisticated tools at manufacturers’ end. Our vendors have made these canes in accordance with the industry standards. Our range is acclaimed for their light weight, colorful range, high strength, durability, reliability, and comforts. 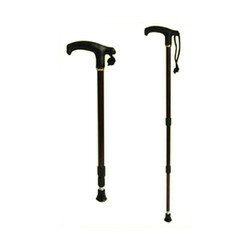 An extensive range of Walking Sticks can also be availed from us. These sticks are fabricated suing anodized aluminum and modern technologies. 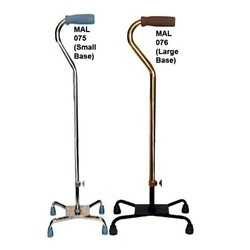 With the special L-shaped handles, these sticks provide ease at walking and standing. We offer these sticks in silver, bronze and blacks colors and in varied sizes as per the specific requirements of the clients. We understand the clients’ budgetary limits and therefore we offer our range at most economic rates. Aluminium anodized light weight walking stick with half round handle for comfortable nonslip grip. With years of experience, we are engaged in trading a comprehensive range of Forearm Crutches. 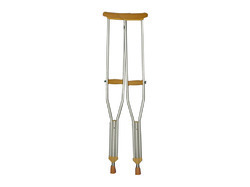 Our crutches are made for the physically challenged or injured person, who is unable to walk. With cuff at the top, these crutches provide easier handling and support. These crutches are prescribed by the orthopedics due to their addition support to the body. We offer our range within the stipulated time frame and at most competitive rates. We are specialized in trading a wide array of premium grade Quad Canes. These walking sticks are made using anodized aluminum, which makes them stronger and provides longevity. Our comprehensive range of these canes is appreciated for their durability, optimum strength, anti-corrosive finish and easier adjustments. Their height can be adjusted from 29 to 38 inches. 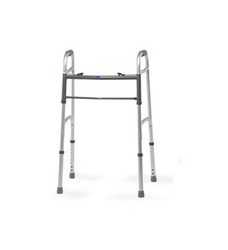 These are enabled with non-slip rubber capped four legs that provide support and good balance. 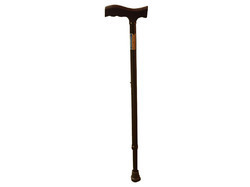 Lightweight Aluminium anodized walking stick with wood handle adjustable height facility for a user. We are one of the distinguished traders in industry, involved in providing an exclusive range of Aluminium Wheel Chair. These chairs are accredited among the clients for their finish, durability and sturdiness. Our vendors have designed these chairs as per the latest market trends. The easy maneuver, these chairs ensure easier mobility. With complete folding, footrest, and detachable armrest these chairs offer comfort to the users. Useful for those with poor vision. Can easily be stuck on to obstacles such as cabinet corners, table corners, stair raisers. Also helpful for making light switches, door, handles to help identify them in dark. The twist in the Magnifyng-Lens-With-Led allows them to be bent to the angle desired for customization to each individuals self-feeding need. Magnifying Lens with LED from Pedder Johnson. It combines both magnification and Illumination to enable visually impaired individuals to see printed material. Reflective Tape from Pedder Johnson. This is useful for those with poor vision. Can easily be stuck on to obstacles such as cabinet corners, table corners, and stair raisers. Also helpful for marking light switches, door, handles to help identify them in dark. Made of steel with foam Made of high quality material for long lasting use Exercise the small muscles in your hands and arm that would otherwise be missed.Unisex Comfortable foam non-slip grip and stainless steel enhanced spring.